In this eagerly awaited book, foremost Arab world and international affairs specialist Gilbert Achcar analyzes the factors of the regional relapse. Focusing on Syria and Egypt, Achcar assesses the present stage of the uprising and the main obstacles, both regional and international, that prevent any resolution. In Syria, the regime’s brutality has fostered the rise of jihadist forces, among which the so-called Islamic State emerged as the most ruthless and powerful. In Egypt, the Muslim Brotherhood’s year in power was ultimately terminated by the contradictory conjunction of a second revolutionary wave and a bloody reactionary coup. Events in Syria and Egypt offer salient examples of a pattern of events happening across the Middle East. 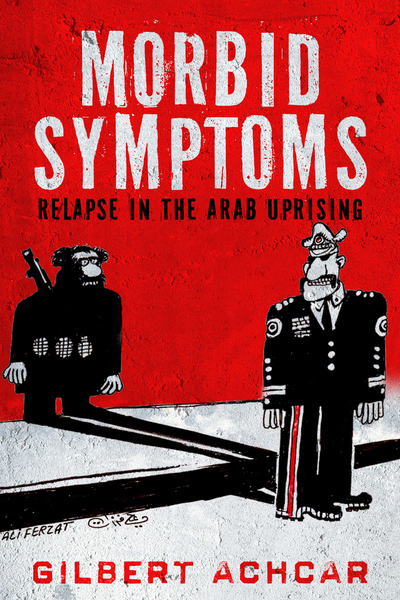 Morbid Symptoms offers a timely analysis of the ongoing Arab uprising that will engage experts and general readers alike. Drawing on a unique combination of scholarly and political knowledge of the Arab region, Achcar argues that, short of radical social change, the region will not achieve stability any time soon. Gilbert Achcar grew up in Lebanon. He is Professor of Development Studies and International Relations at the School of Oriental and African Studies, University of London. His publications include The Clash of Barbarisms: September 11 and the Making of the New World Disorder (2002), published in 15 languages; Perilous Power: The Middle East and US Foreign Policy (2008), with Noam Chomsky; the critically acclaimed The Arabs and the Holocaust: The Arab–Israeli War of Narratives (2010); and The People Want: A Radical Exploration of the Arab Uprising (2013).